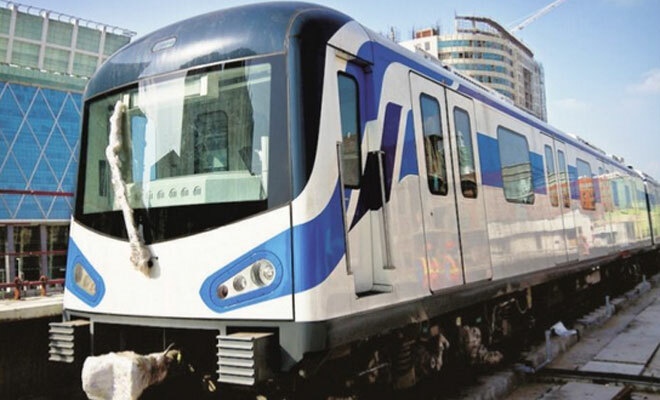 Panchkula: The Haryana government today said Kundli in Sonipat district will be connected with the Metro rail service soon. The project for connecting Kundli with metro rail was approved in the 22nd meeting of the Haryana Mass Rapid Transport Corporation that was chaired by Chief Secretary D S Dhesi, an official release said here. The metro rail line will be extended from Narela in Delhi to Kundli, covering a distance of about 4.86 km, it said. Apart from this, other under-construction metro rail projects were also reviewed in the meeting, the release said. These included the Sikanderpur to Gurgaon Sector 56, YMCA Faridabad to Ballabhgarh and Mundka to Bahadurgarh projects. The latter two are slated to be completed by December this year, it said.